Cebu Pacific Air has waived fees on rebooking or changes of flight details, as part of changes in its processes to improve customer experience. Effective immediately, CEB guests who make booking changes within twenty (24) hours from the time of ticket purchase will no longer be charged a rebooking or cancellation fee. Previously, passengers who make changes to their bookings such as flight dates and sequences were required to pay for the PHP1500 rebooking fee for domestic flights, or PHP2300 and PHP2800 for short haul and long haul international flights, respectively. Now, penalty fees are waived for booking corrections on flight sequence of city pairs, e.g., from Manila-Cebu to Cebu-Manila; and for changes on Sum of Sectors (SOS) bookings or connecting flights treated as one, e.g., Virac-Manila-Cebu to Cebu-Manila-Virac. Rebooking fees will also be waived for direct flights changed to SOS booking and vice-versa. While the rebooking and cancellation fees are waived, however, passengers who make such flight changes will still need to shoulder the fare difference. The waiver on the rebooking and cancellations fees is applicable across all booking channels of Cebu Pacific—whether through a travel agent, ticket office and call center. Ancillary services, such as seat selection, baggage allowance and pre-ordered meals, are also fully transferrable to other guests and flights at no extra cost. "We are in the thick of reviewing our processes to see how we can improve our service to all passengers and make it easier for everyJuan to fly. Rebooking and cancellation fees have been a key concern for passengers, especially those who have been able to avail of low fares. This will benefit them as it truly makes flying with Cebu Pacific more affordable," said Atty. JR Mantaring, Vice President for Corporate Affairs of Cebu Pacific. Cebu Pacific has also recently updated all its booking systems to make exemptions from the NAIA Terminal Fee, or the International Passenger Service Charge applicable on bookings made via the CEB mobile app and website. 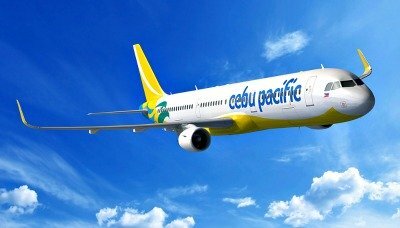 For the first half of 2017, Cebu Pacific flew 10.1 million passengers, bringing the total number of passengers carried to over 150 million since CEB started operating in 1996. Its fleet of aircraft is comprised of three Airbus A319, 36 Airbus A320 and eight Airbus A330; as well as eight ATR 72-500, and six ATR 72-600 aircraft, used by subsidiary Cebgo for inter-island domestic flights.